Hello everyone! It's my turn to post over at Twine It Up! with Trendy Twine today. We are featuring the Skinny Candy Bags this month along with a few of the Halloween Trendy Twine twists. 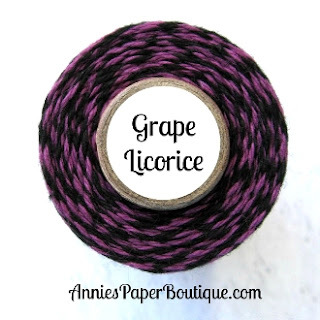 I am using Grape Licorice Trendy Twine today. I decided to use some cute Halloween pencils in my Skinny Candy Bags. They were in a pack of 10 for $1 in the Target Dollar Spot. 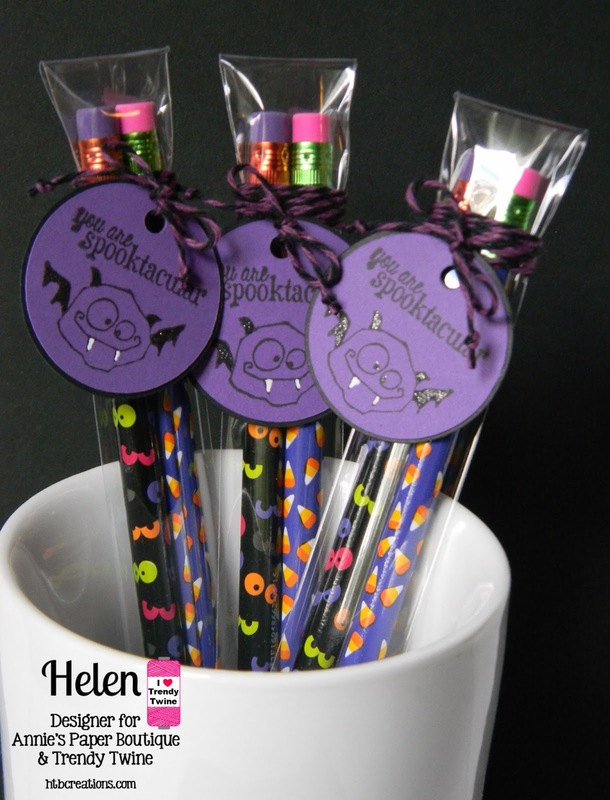 I picked the pencils that had black and purple to go along with my Grape Licorice Trendy Twine. The tags are cut from my Cricut and I stamped them with some Unity Stamps. I colored in the wings and ears in black, and the teeth in white. The I used my Wink of Stella clear pen to add glitter to the ears, wings and eyes. Lastly, I tied the Grape Licorice Trendy Twine around several times, added the tag, and tied a bow. 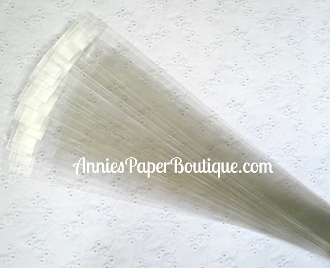 Be sure to visit Annie's Paper Boutique to get these fun bags and twine twists while they are on special this month! Too cute Helen! Love your vampire! These are so adorable!!! AWESOME project! Very cute! They look perfect with that Grape Licorice Trendy Twine. 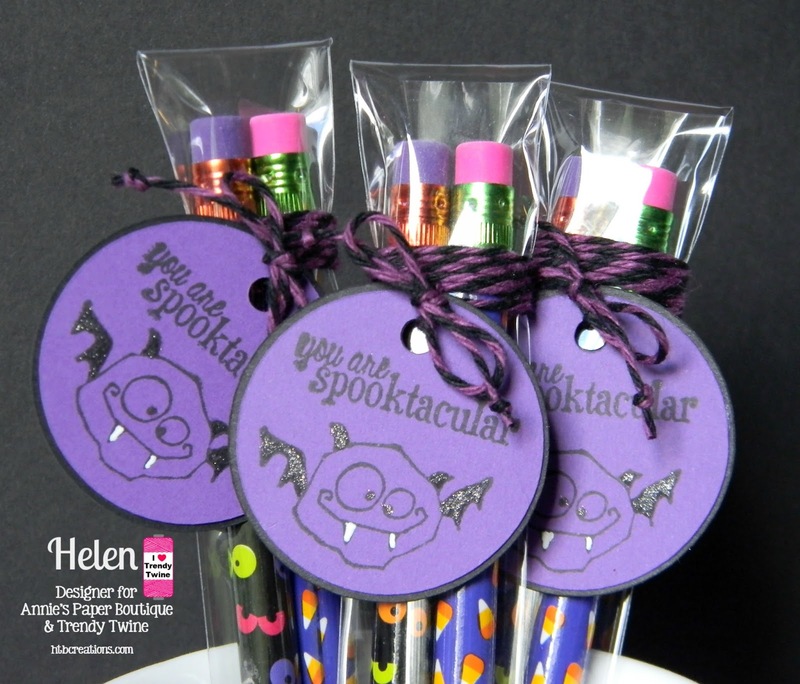 These are so cute Helen!! Love that vampire bat!! Totally cute & fun!! Fun image! Oh these are fun. I love candy, but I do love stationery stuff, too. This is a great idea and super cute, Helen. Super cute treats! Love the fun toppers for your bags! The touch of sparkle is awesome too! So cute! I love the pencil idea.... Great job! Happy Halloween from Trendy Twine!